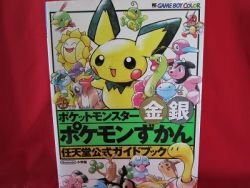 This is a Japanese GAME BOY, GB "Pokemon Gold Silver" Art Book (IllustrationBook). The strategy and data and photo, etc. are very comprehensible.